Looking for ways to better manage your users? Try organizing them into different roles. 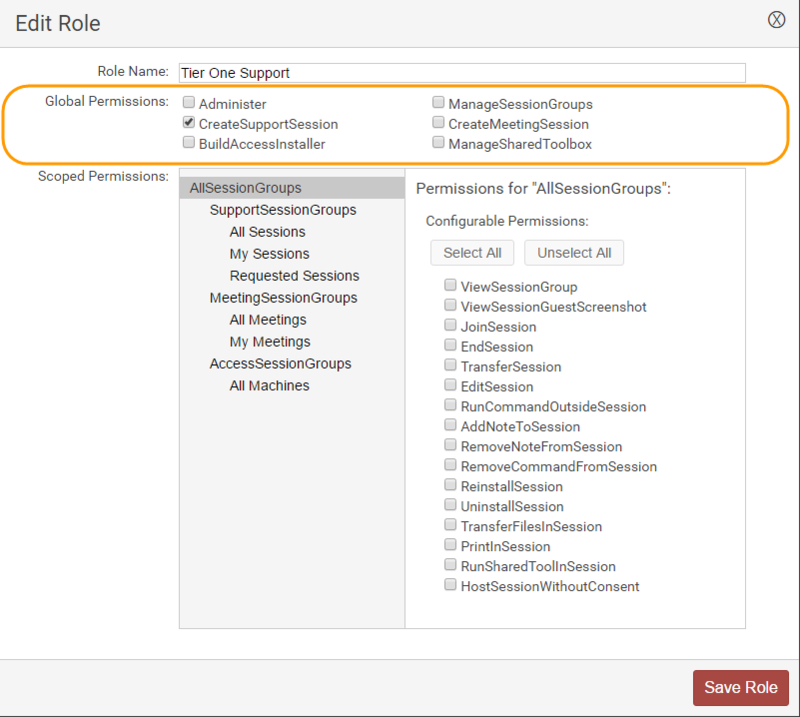 Each role has a set of permissions that can affect the visibility of the Host page and define a user’s in-session experience. No time for a lengthy read? Watch this video to see what you can gain from using permissions within ConnectWise Control® (formerly ScreenConnect). For example, you may want to set up a Tier One Support group that can only conduct support sessions, a Server Team that can only join server sessions with Access agents installed, and a Desktop Team that can connect to both Access and Support sessions. This article will discuss the revamped role-based security feature within ConnectWise Control (formerly ScreenConnect). 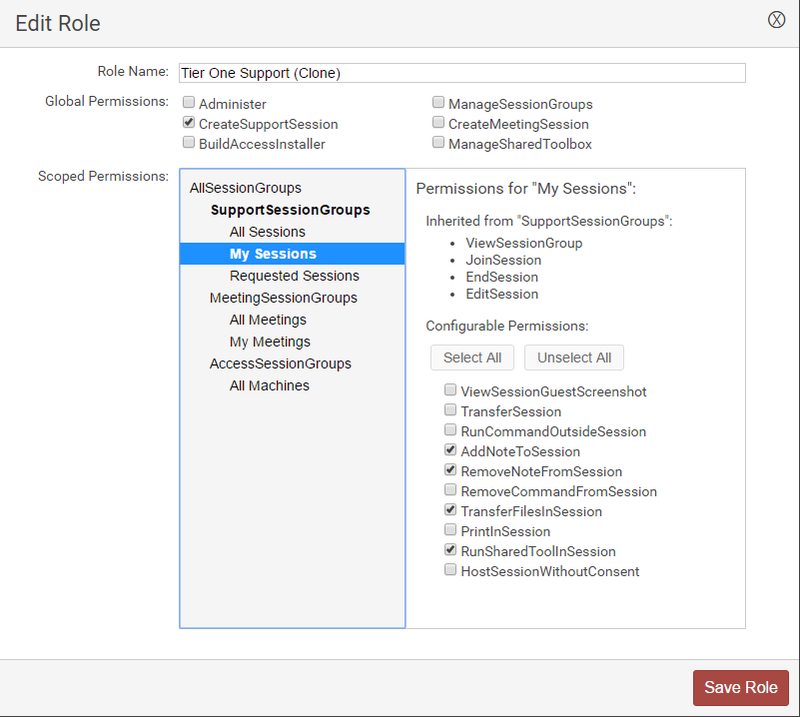 Firstly, Global permissions are not related to a session grouping, but instead encompass more broad functionality like the ability to access the Administration page, manage the shared toolbox, create session groups, create support and meeting sessions, and build Access installers. 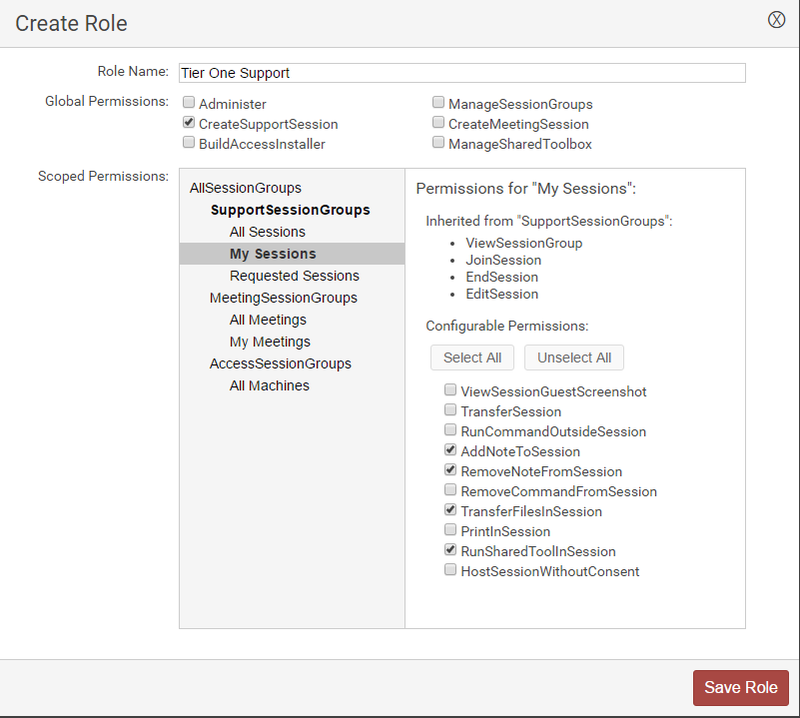 Secondly, scoped permissions are specifically related to grouping, or organizing sessions into groups. The configurable permissions include the ability to view, join, and end sessions within the group, as well as access to specific features like run tools, run commands, and add notes. Since these configurable permissions inherit from the parent group, you could set up a group that has a base set of permissions that allow users to view, join, edit, and end sessions in any support session group. You could then add items like add and remove notes, transfer files, and run tools in specific support session groups. Help page. Just visit our website to discover what unmatched remote control technology can do for your business! Role-based permissions are just the tip of the service excellence iceberg.